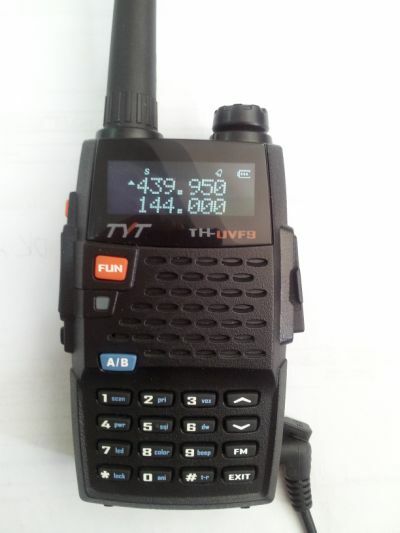 A quick review on the TYT Yahoo Group... looks like all these Chinese radios are going to be available in colors and I am slightly disappointed it doesn't have the reverse display. "Noteworthy is the size of the unit is almost identical to the Baofeng UV-3R radios just a little thicker (side by side photos of the Wouxun KG-UVD1, Baofeng UV-5R, TYT and the Baofeng unit). Another photo of the back of the box seems to indicate 4 colors are available. Unlike the brochure photos the display is the standard lcd (not the reverse image as pictured in the ad)." 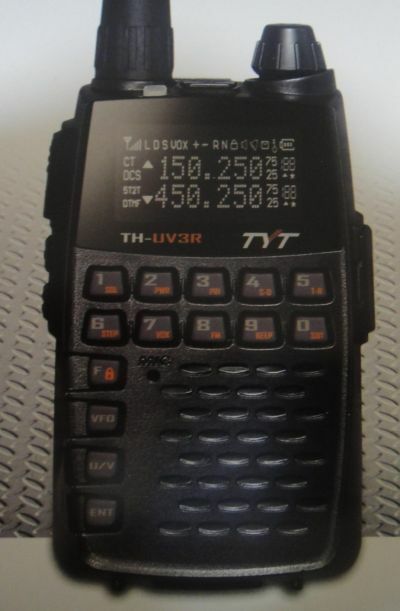 A TYT TH-UV3R... if they could have just thrown a little Wouxun in there, we would have had a trifecta.